Shopping for a mortgage can be stressful and time-consuming, especially when you know next to nothing about the process. Nobody wants to feel like they’re making a monumental decision while going in blind. With that in mind, here’s a list of questions to ask your mortgage lender, before you sign anything. 1. What type of loans do you offer? What are the qualifying guidelines for each? this is just to name a few, it’s important to know which type of loan the lender can offer you. Don’t be afraid to ask them to take the time to explain each one to you and their pros and cons. Make sure that the lender is recommending specific loans only after finding out about your particular needs and qualifications, and not just pushing their own agenda. Ask why they think a specific loan would work best for you. 2. What is the interest rate and Annual Percentage Rate (APR)? The interest rate is going to be based on the size of the loan and on your credit score. Interest accrues over the life of your loan and over a 15-30 year span, can add up considerably. If the interest rate is adjustable (as in an Adjustable Rate Mortgage or ARM), ask how long the rate will remain fixed, and about the maximum annual adjustment, highest rate (cap), index and margin. The APR includes both the interest rate and all other lender fees, divided by the loan’s term. 3. What’s the monthly payment going to be? As you’re trying to develop a budget after your home purchase, you’re going to need to know what your monthly expenses are going to look like. Make sure you include taxes and insurance in their calculations. Remember that your monthly payment shouldn’t be so large that you can’t also budget for unexpected expenses and a retirement fund. 4. How large of a deposit do you need? This is important. Interest rates, and therefore monthly payments, vary considerably depending on the size of your down payment. This also factors into whether you’ll be required to pay mortgage insurance. Usually, companies will waive PMI (Private Mortgage Insurance) if your down payment is 20% or more of the purchase price. Some loans, (like those offered by the VA, FHA and USDA), will allow for a down payment of zero to 3.5%, but depending on the program, they will require insurance premiums for the life of the loan. Although it’s certainly possible to obtain a conventional loan with less than 20% down, the interest rates will almost certainly be higher. The good news is that, once your equity reaches 20% or more, you can renegotiate with your lender and see if they’ll waive the insurance fee. 5. Is there a prepayment penalty? If you think your economic situation might change in the future, or you’re saving up to make some extra mortgage payments, it’s important to make sure your lender won’t charge you for paying off your loan early. Some lenders charge an additional processing fee for each overpayment, while others ask for six months of unearned interest. Others only charge a penalty if you pay off your loan before the first two to five years. Verify if your monthly payments will adjust in line with any additional payments you make and if the penalty applies if you decide to refinance later on. 6. What fees and costs will I have to pay? Can you estimate and explain them, as well as how much you’re going to make off the loan? Every lender will charge differently for this, and you’re entitled to know. Costs generally include an appraisal, credit report, title policy, pest inspection, escrow if applicable, recording fees, and taxes. Some companies also require you to pay points (1% of the total loan) or origination fees. You can ask if you can waive paying those points in exchange for a higher interest rate. In any case, all costs and fees should all come itemized in a Good Faith Estimate (GFE), which must be provided to you within three days of your application, as required by law. While you’re at it, ask whether the lender will guarantee your GFE. Though not required, you can pressure your lender to stick by the quote. Just make sure to get it in writing! 7. Do you offer Loan Rate Locks? If so, how much do you charge for them? Loan rates change every day, sometimes every hour. If you feel there is an upwards trend you might want to lock in your rate at whatever it currently is before it rises more. Some companies will charge you zero to one point for the lock. Before you finalize the rate and ask your lender to lock it in, take into account that most locks last between a few weeks to 60 days, and if the loan doesn’t process during that time, you lose the rate. To help you determine when to lock in the rate, ask your lender how long their processing period generally takes, and try to get them to lock in the rate for as long as possible. Usually, you should try to get as long a lock-in period as possible, but be aware that may result in a higher rate than if it were shorter. 8. How long does it typically take for a mortgage to go through? Can you guarantee you’ll close on time? While this varies from lender to lender, a top-rated company should be able to close between 30 to 45 days from application. In order to expedite this process, it’s a good idea to have all the necessary documentation ready beforehand and stay in constant contact with your lender, getting him the relevant paperwork as soon as possible. If your mortgage isn’t closed in time, your locked-in rate won’t apply, you may have to pay your movers more for rescheduling, and lose your current living space if your lease is up. 9. Are you going to hold this loan or sell it? Many lenders sell their loans forward in order to gain more capital and be able to make new loans. The Real Estate Settlement Procedures Act (RESPA) requires lenders by law to inform you of this within three days of your application, in a document usually called a Servicing Disclosure Statement. What’s important for you to know is that the terms of your loan cannot change and that you must be informed 15 effective days before the transfer. Additionally, RESPA protects you from late fees during the first 60 days after said transfer. 10. WHAT ARE MORTGAGE OR DISCOUNT POINTS AND HOW DO THEY AFFECT MY LOAN? One way to get a lower interest rate is through mortgage or discount points. These are fees the borrower can pay the lender in exchange for a reduced interest rate and, consequently, lower monthly mortgage payments. Using this system, buying one point costs 1% of your mortgage amount (or $1,000 for every $100,000). If you plan to own your home for the long term, it’s worth asking your lender whether this is an option for you. If it is, make sure it’s cost-effective by comparing how much you’d be saving each month against how much it costs to buy points. 11. WHAT ARE CLOSING COSTS? HOW MUCH WILL MINE BE? Some of the largest expenses involved in the purchase of a home are closing costs. Closing costs are fees that are paid at the end of the transaction, once the home is ready to be transferred from one owner to another. These costs can be paid by the seller, the buyer, or shared by both. Often, closing costs can be as high as 2 to 5 percent of the home’s purchase price. It’s important to ask your lender for an estimate of closing costs up front, as many of the fees associated with closing the transaction can be negotiated or vary from lender to lender. Although the final bill might differ from the estimate the lender provided, there are limitations to how much fees can change. If you find any major discrepancies, be sure to discuss them with your lender. 12. WHAT IS ESCROW AND HOW MUCH WILL IT COST ME? When it comes to buying a home, it’s important to know exactly what’s involved in escrow and escrow accounts. 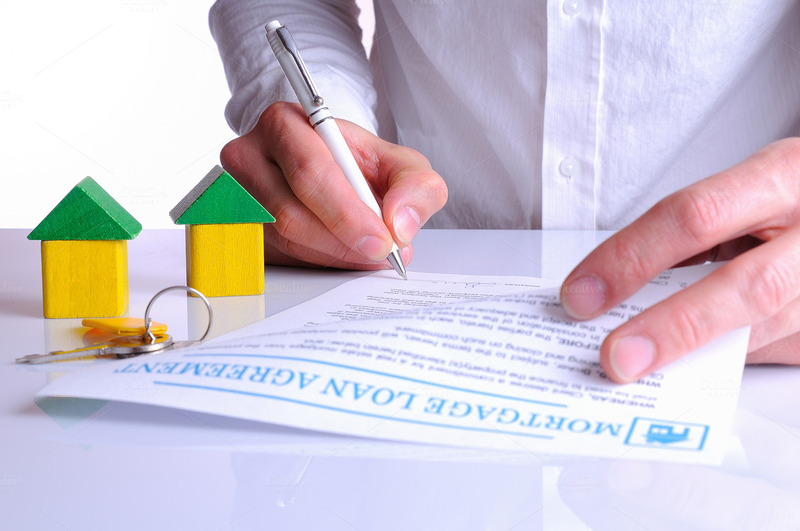 The term “escrow” refers to the period between the moment the buyer agrees to buy the property and the closing of the transaction or when the title of the property is transferred to the new owner. At the beginning of this escrow process, you will be asked to deposit money into an escrow account. This initial deposit is known as good-faith earnest money. Once you’re ready to start the process of buying the home, your lender will ask that you deposit money into the account as a guarantee that you will fulfill the contract. The amount you’ll be asked to deposit depends on the home’s price and the terms of the agreement. Money deposited in escrow can cover the buyer’s down payment, purchase price, and closing fees. If the transaction cannot be closed because the buyer or seller fails to fulfill their part of the contract, both parties must decide on how to use the deposit. Both the down payment and closing fees must be in escrow before the property can be transferred. However, there’s another escrow account to consider. Homeowners who purchase their property with less than a 20% down payment are often required to pay into an escrow impound account every month. The lender will charge this amount monthly along with the mortgage payment, and they will use the money to pay for property taxes and specific types of insurance directly instead of leaving it up to the homeowner. If you still haven’t found a home, our First-Time Homebuyer’s Guide to Mortgage Rates is a great resource to read, and then mosey on down to our 10 best mortgage lenders page, and start putting those questions to the test!